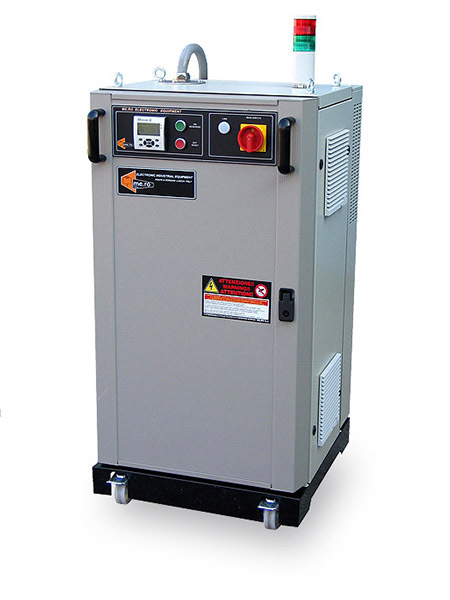 The new DIGITAL generation corona discharge generators represent the new industrial standard for this type of device. The new generator with Digital Controller is a result of the need to simplify the controller electronics, deleting all of the Analogue/Digital adjustments (Set Point – Duty Cycle – Frequency – Timer) that were done manually on the previous model using “Trimmers and Switches”. The IGBT modules installed in them, featuring high switching speed with low losses, combined with the configuration of the power circuits, ensure high performance and complete self-protection in the event of accidental overloads. Unquestionably, these generators, together with a sophisticated operator terminal and the new discharge stations, represent the most up-to-date state of the art for corona treatment equipment. Deletes what was previously done manually, now setting all Analogue/Digital adjustments through the “Menu”. Deletes some controller boards, simplifying the Hardware alcune schede controller, semplificando l’hardware. 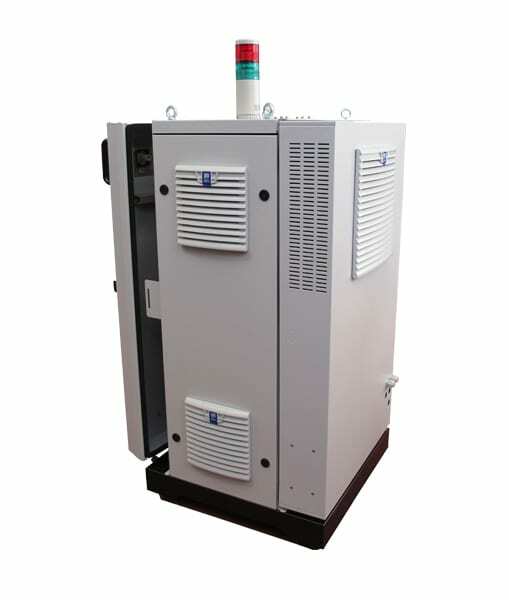 Uses a single interface board between the PLC and the “Chopper – Inverter” power stages for all generator models produced. New generation PLC S7-1200 + Touch Siemens. Less spare parts since, as previously mentioned, the controller hardware is reduced and the same hardware is used for all generator models produced. High efficiency thanks to the configuration of the power circuits and the use of -IGBT-modules. Electronic protection in the short-circuit proof inverter power modules. Electronic protection against any short circuits at the high voltage output. Automatic adaption to various load conditions. Universal supply voltage 3×380-415-440-460-480V (without need for a network transformer). Construction according to norm EN-60204-1. Electromagnetic compatibility (EMC) in accordance with norms EN-55011 and EN-50082-2. Communication – Profinet – Profibus (Profibus optional “additional module”).